In Remaking the Body, Wendy Seymour interviews men and women who have suffered profound bodily paralysis, and explores how they deal with their appearance, relationships, sexuality, incontinence and sport. She finds that even major impairment hasn't annihilated these people's experience of an embodied self. She shows that the process of self-reconstruction is interwoven with social expectations and argues that the experience of disability highlights the continuous work involved in embodiment for everyone. 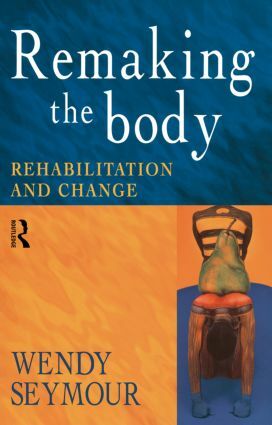 Remaking the Body is a major contribution to the field of the sociology of the body and essential reading for rehabilitation professionals and students.